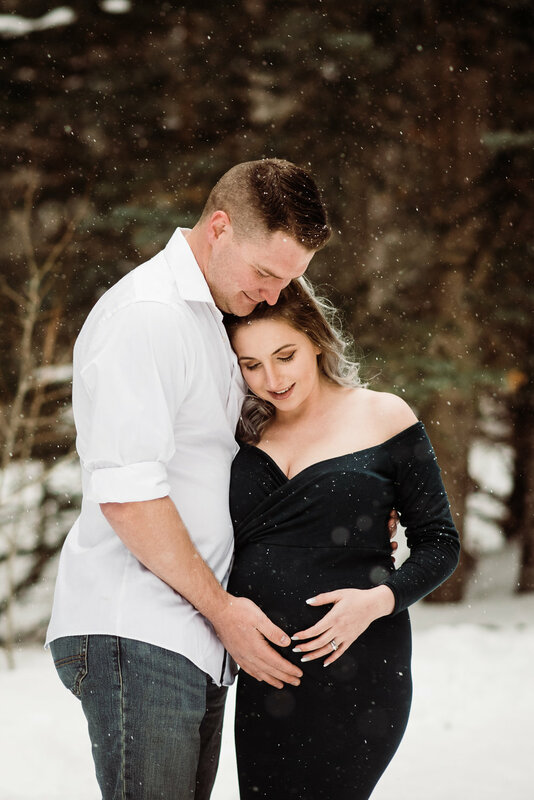 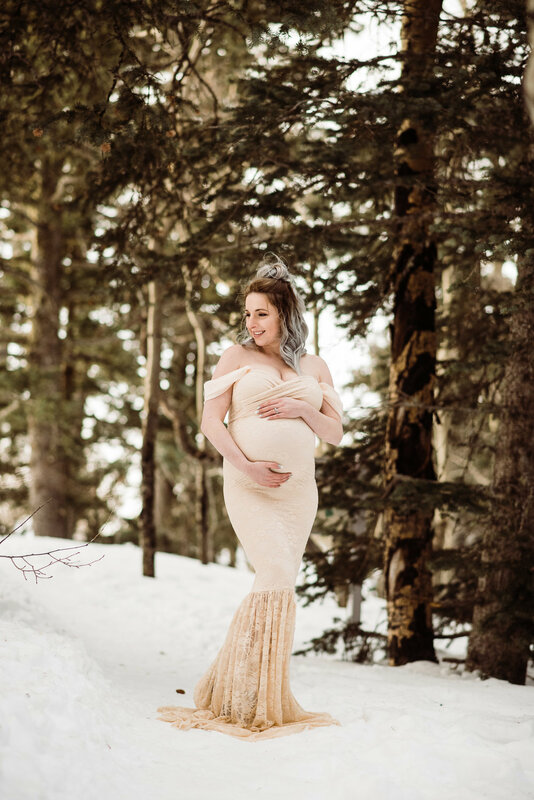 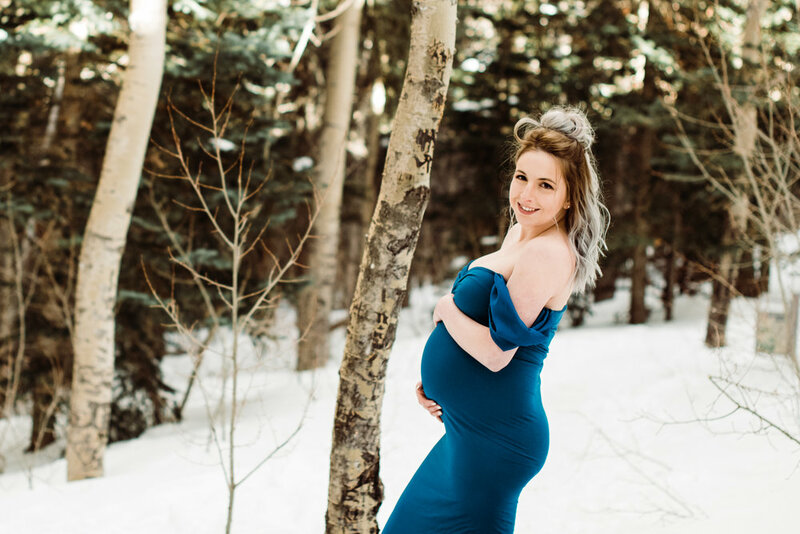 When Amanda chose the Sandia mountains as the location for her maternity session we weren’t at all expecting snow to still be up there. 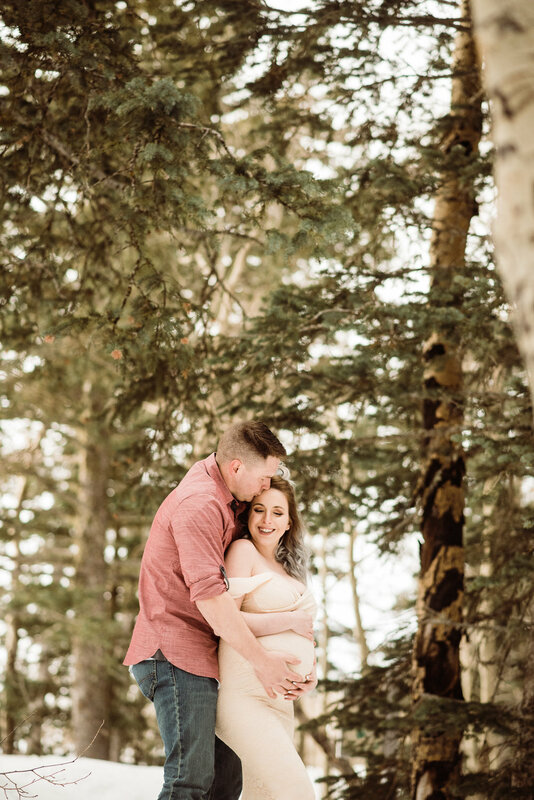 We were surprised to drive up to snow that was knees deep! 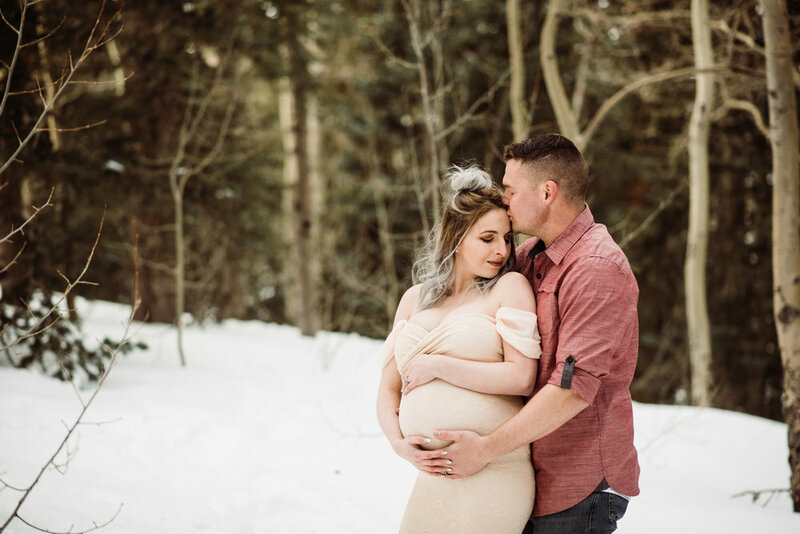 This particular day ended up being super windy and freezing, but Amanda and James braved the cold and rocked their session! 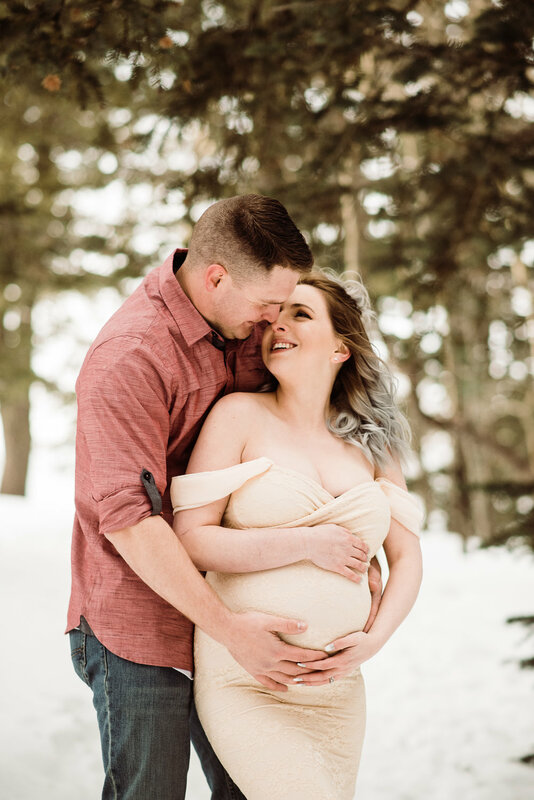 I can’t wait to meet their baby boy in just a few short weeks!